Jana Federov aka Xuli is a Hamburg based artist specialising in letteling, illustration, calligraphy and typography, lettering and murals. Bringing it to the point she occupies herself with anything that involves letters. After studying graphic design and typography at the College of Fine Arts in Hamburg she began her artistic work as a freelancer. Her unique aesthetics has made her one of the masters of the caligraffiti movement and gave her a worldwide reputation. Jana has collaborated internationally with many companies and institutions and has participated in numerous exhibitions. In January 2017, Jana participated in the series of events of Digital Calligraffiti for Migrating Cultures. 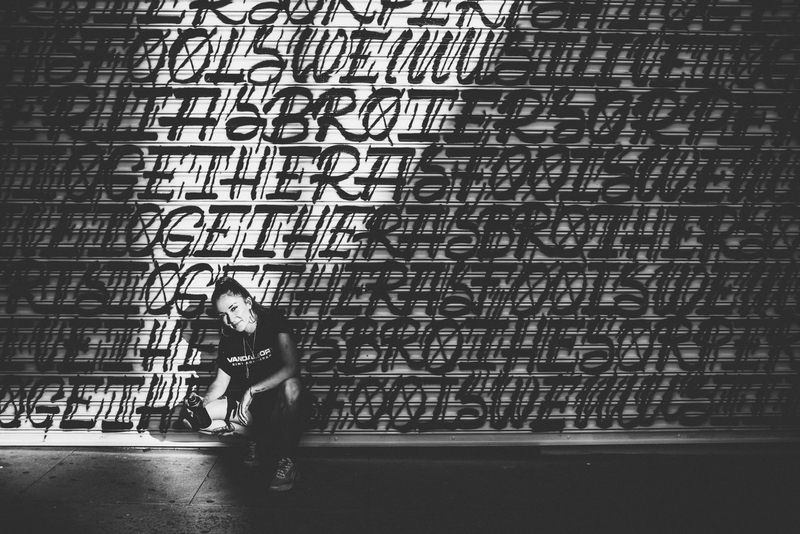 She was one of the leading artists of the workshop, live performance, the urban intervention at the subway station and also worked for the preparation of the Digital Calligraffiti Campaign.